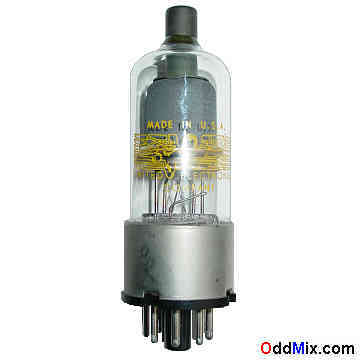 This is a genuine, discontinued, historical 2C53 High Voltage Triode Regulator type electronic vacuum tube made by the United Electronics Co. Designed to be used for high-voltage low-current voltage regulator applications, usually in television receivers or RF equipments. Useful for antique radio or television restoration projects, high voltage electrometer circuits or to set up a private vacuum tube museum. I For reference only - no longer available!